Thank you so much for your interest in a signed copy of one of my books. Each title is available for $18 (US) or you can save when ordering multiple titles. Please allow 2-4 weeks for packaging and delivery after the books are available. 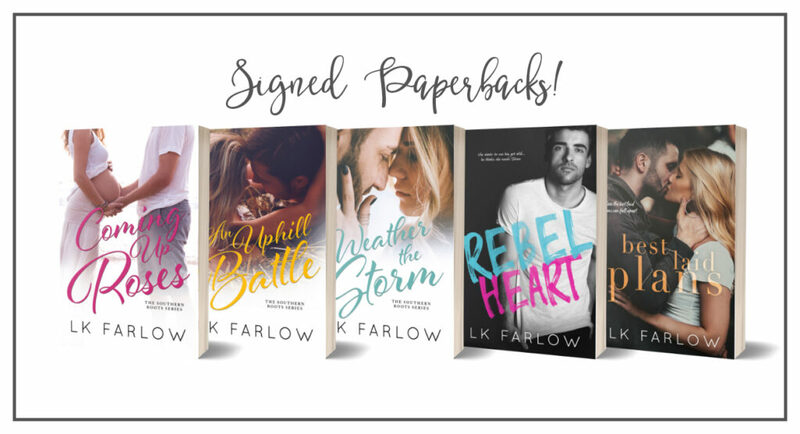 If you are international OR would like more copies or to order the retired covers, please email kate@authorlkfarlow.com for availability and rates. After clicking Purchase you will be taken to PayPal to complete your transaction.